Memorial Day is an opportunity for us to pay our respects to our military men and woman who laid down their lives defending our freedoms. Each of these soldiers, sailors, airmen and Marines stepped up to protect the nation they loved. On May 29, the City of Moreno Valley will honor the sacrifices of these selfless heroes. 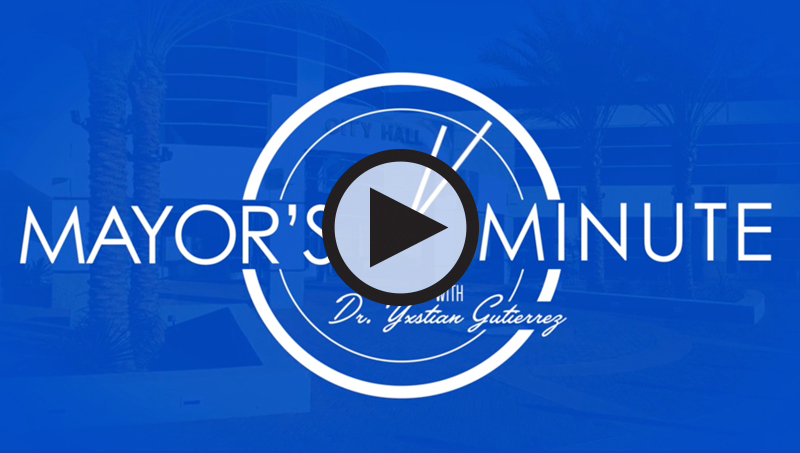 At 2 p.m., Mayor Yxstian Gutierrez will preside over the City’s Memorial Day Ceremony at the Veteran’s Memorial located at the Moreno Valley Civic Center. Major General Randall A. Ogden, commander of the nation’s 4th Air Force, will deliver the keynote address. The City of Moreno Valley is collecting donations of jars of peanut butter and jelly in support of a volunteer-led hospitality service for departing and returning war zone soldiers at March Air Reserve Base. Please bring your donation to the City's Memorial Day ceremony and support our military members. I’m coming home! I’m looking forward to seeing you again...but I’m in no hurry to see the expressions on your faces when you see me." - Private Al Puntasecca, letter to his family, 1953. For veterans, returning home from war can be both an exhilarating and challenging experience. Through private correspondence from almost every major conflict in U.S. history, the War Comes Home exhibit offers insight into the thoughts and emotions of veterans and their families upon their homecoming. 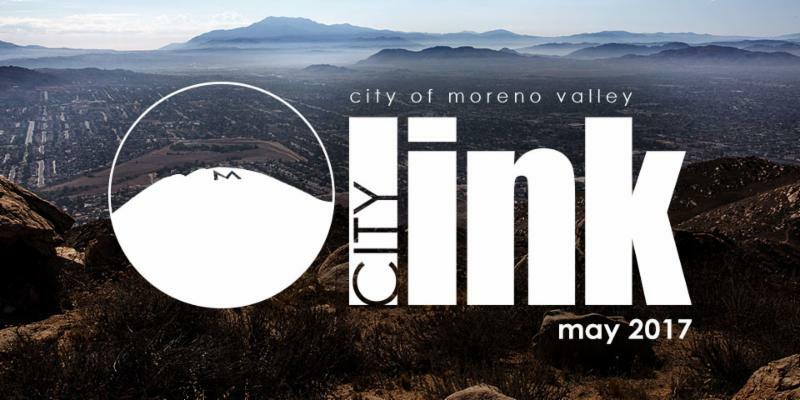 The exhibit is now on display at the Moreno Valley Library through June 18. These intimate perspectives – from the Civil War era through the wars in Afghanistan and Iraq – reveal how war can shape a life, a family, and a community. The exhibition is a part of the California Humanities' War Comes Home initiative, which aims to raise awareness of and promote greater understanding of our veterans and explore the impact of war on our communities. Within each section, the exhibition pairs an historic letter with a contemporary letter or email to demonstrate the range of experiences military members face as they transition from deployment to home. Showcasing veterans and their families adjusting to civilian life together – or facing the long-term costs of war – these powerful letters explore feelings of grief, joy, doubt, and love, bringing the real experiences of war home to all of us. 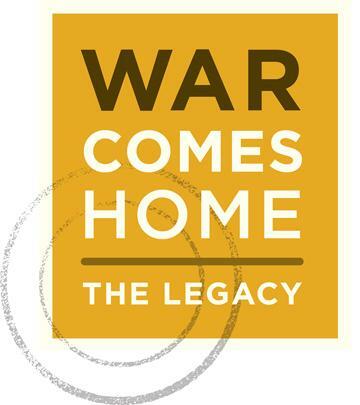 War Comes Home: The Legacy is a partnership between California Humanities, the California State Library and Exhibit Envoy. It is supported in part by the National Endowment for the Humanities, the BayTree Fund, The Whitman Fund, and the U.S. Institute of Museum and Library Services under the provisions of the Library Services and Technology Act, administered in California by the State Librarian. Moreno Valley’s Employment Resource Center (ERC) connects residents with the best jobs in MoVal. The ERC gives job seekers access to exclusive services, including one-on-one mock interviews, job search assistance and career coaching. Connect with the largest employers in town through job fairs with companies like Amazon, Procter & Gamble, Hyundai of Moreno Valley, and Karma Automotive. The ERC offers monthly workshops on how to write a winning resume, interviewing with confidence, and how to get started in high demand fields including logistics, government, and health care. Recently, Kaiser Permanente delivered a workshop, Working for Kaiser, to a standing room only crowd. 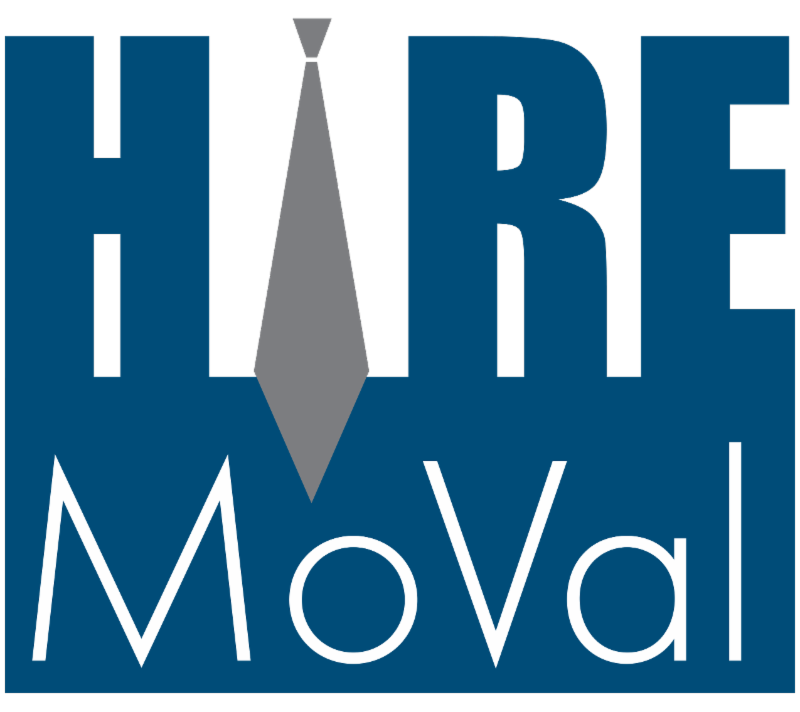 If you're looking for a job, sign up for the Hire MoVal Job Seekers email list at www.moval.org/hiremoval to receive job announcements delivered straight to your inbox. Register for CalJOBS today and gain access to a strong network of knowledgeable professionals looking to help you find your next big break. Through the Hire MoVal program, the ERC provides businesses free hiring assistance services, including job fairs, e-blasts, job postings, resume screening, and more. 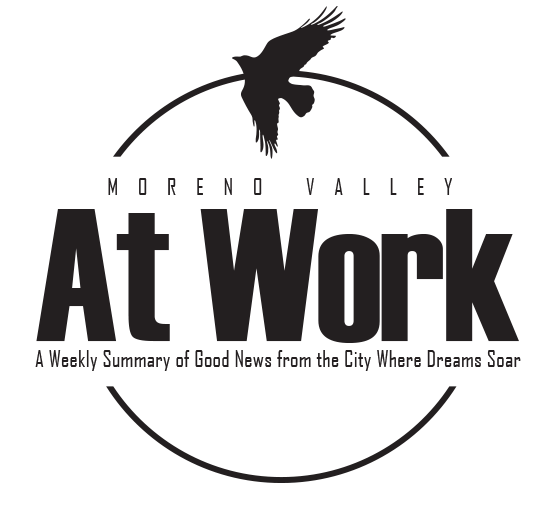 The Moreno Valley Employment Resource Center operates in partnership with the Riverside County Workforce Development Center. The Moreno Valley Fire Department is warning local business owners to be on the look out for fake fire inspectors. Fire departments throughout California have reported an increase in cases of individuals and fire protection companies posing as legitimate fire inspectors. These individuals will often disguise themselves in official-looking clothing and ask to perform a fire protection inspection. After these fake inspections, businesses typically receive an invoice for services were allegedly performed. The invoice is then followed by aggressive collection efforts. 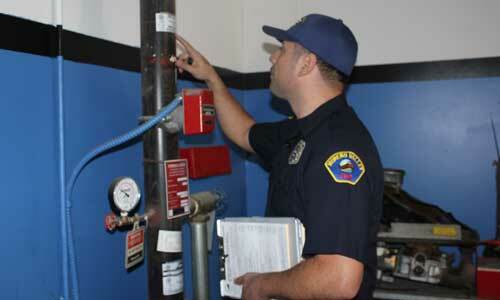 The Moreno Valley Fire Department inspects all businesses in the City on an annual basis. Business owners, managers, and employees should not let anyone inspect their fire extinguishers, sprinkler systems, hood systems, or any other fire protection devices unless they are under annual contracts or reach another agreement for a specific fire protection service prior to the service call. Make sure they introduce themselves, identify their business, and produce a business card. Allowing an individual to enter your business without a clear understanding of who that person is, as well as his or her intentions, is not recommended. Make sure you understand their intentions and ask for a cost estimate. Never pay in cash. Invoicing and record keeping are important for your business and the establishment of legal avenues. Insist they leave any replaced or changed parts with the business owner. Remember, business owners may always refuse service and contact the Moreno Valley Fire Department for guidance. The Fire Prevention Bureau will gladly advise local businesses of any required service schedules of fire protection systems, and assist in verifying that a company is qualified to provide the appropriate inspection, testing, and maintenance. For further information, or to report a fraudulent inspector, please call the Moreno Valley Fire Department, Fire Prevention Bureau at 951.413.3370. Have you been thinking about adding a new kitten or cat to your family? 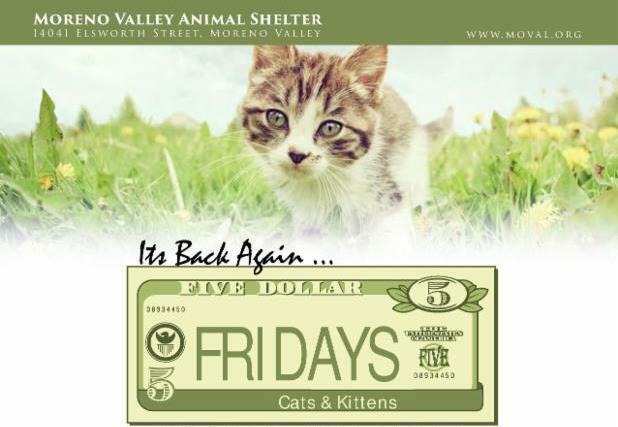 Adopt a kitten or cat for just $5 every Friday in May. The $5 adoption fee includes spay or neuter surgery, vaccines, and a HomeAgain microchip. Pets adopted that have not been altered will stay for surgery and be available to go home on the afternoon of the day surgery is scheduled. Don't miss out on this incredible opportunity to provide a kitten or cat a forever home! Thousands of homes are destroyed by wildfires every year. If you live in, or are planning to move to an area where homes are intermixed with woodlands, your home may be in jeopardy, and your life and the lives of your family members may be at risk. Fire prone landscaping around homes increases the possibility of fire damage while hindering the activities of firefighters. There are many landscaping techniques which can create a semi-fireproof zone or defensible space around homes. A fire safe landscape isn't necessarily the same thing as a well-maintained yard. 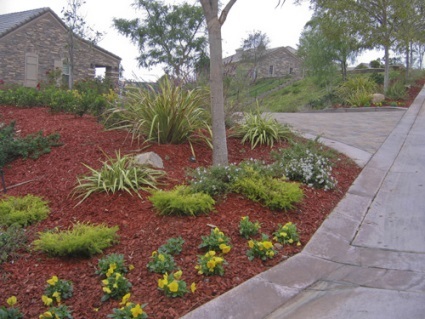 A fire safe landscape uses fire resistant plants strategically planted to resist the spread of fire to your home. The good news is that you do not need to spend a lot of money to make your landscape fire safe. Installing a fire safe landscape can also increase your property value and conserve water while beautifying your home. Create fire-safe zones with stone walls, patios, swimming pools, decks and roadways. Use rock, mulch, flower beds and gardens as ground cover for bare spaces and as effective firebreaks. There are no "fire-proof" plants. Select high moisture plants that grow close to the ground and have a low sap or resin content. Choose fire retardant plant species which resist ignition such as rockrose, ice plant and aloe. Fire-resistant shrubs include hedging roses, bush honeysuckles, current, cotoneaster, sumac and shrub apples. Plant hardwood, maple, poplar and cherry trees are less flammable than pine, fir and other conifers. You can also check with your local nursery, landscape contractor or county extension service for advice on fire resistant plants that are suited for your environment, and help to plan you landscape. The City of Moreno Valley Office of Emergency Management would like you to remember that safety always comes first during a power outage. Here are a few tips to help you plan and prepare and what you can do during a power outage to keep your home and loved ones safe and comfortable. Don’t wait for an unexpected outage to figure out what you need. Buy a few basic supplies ahead of time and make preparations for special needs in your household. Flashlights. Make sure to store them where you can easily find them. 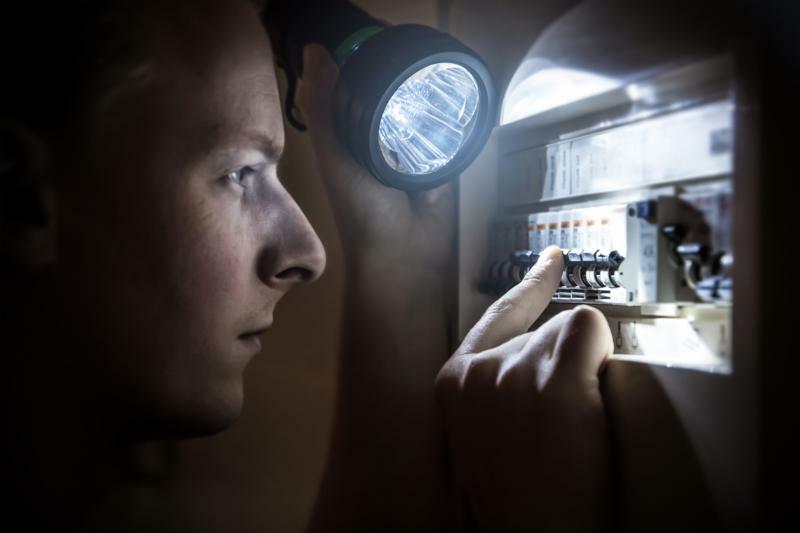 Some simple but important safety measures will help keep your family members, home, and even pets protected during an outage. Put safety first by keeping food cold, having a plan for medical emergencies, and know what to unplug and reset. Install surge protectors to help safeguard valuable electronic equipment including computers and home entertainment systems. If you have an automatic garage door or gate, learn how to open them manually. Alternate means of Power Residents may also want to consider alternate power sources, especially if residents within the home are dependent on power relying equipment. Residents may also want to consider alternate power sources, especially if residents within the home are dependent on power relying equipment. If you are considering a generator for your home, consult an electrician or engineer first. Determine the amount of power needed. Make sure the generator produces more power than will be drawn out. Choose the generator’s fuel source. Backup generators are typically powered by diesel or natural gas. Consult an electrician or engineer before purchasing. NEVER run a portable generator inside a home or garage. Portable generators can cause a buildup of carbon monoxide (CO) from the toxic engine exhaust. Permanently installed generators are better suited for providing backup power to your home. For more information on how to be prepared for a power outage, please contact the Office of Emergency Management staff at 951.413.3800. For more safety tips from the Moreno Valley Fire Department go here.